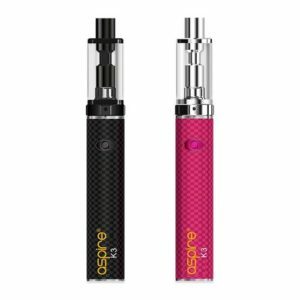 E-cigarettes including vape pens, 'all-in-one' ecigs, tube style e-cigs, box mods available here. We stock great brands such as Aspire, Smok, Smoking Vapor, Innokin in both Mouth to Lung and Sub-Ohm varieties. 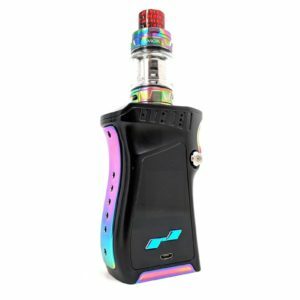 You will find full e-cig kits coming with everything you need to get vaping straight out of the box, or mod only selections for those who want to choose their own tank and e-liquid from the huge variety available. Whether you are looking for the latest temperature control technology, huge battery capacities to keep you vaping all day, or something simple to use that packs a real punch there is something for every vaper. If you are first time vaper wanting something simple and straight forward to start with - look at our starter kits. We've put together a range of great devices that'll start you on your journey. E-cigarettes including vape pens, ‘all-in-one’ ecigs, tube style e-cigs, box mods available here. We stock great brands such as Aspire, Smok, Smoking Vapor, Innokin in both Mouth to Lung and Sub-Ohm varieties. If you are first time vaper wanting something simple and straight forward to start with – look at our starter kits. We’ve put together a range of great devices that’ll start you on your journey.